For most of the day any clouds have skirted the island. With only a slight breeze it has been a joy to be out. 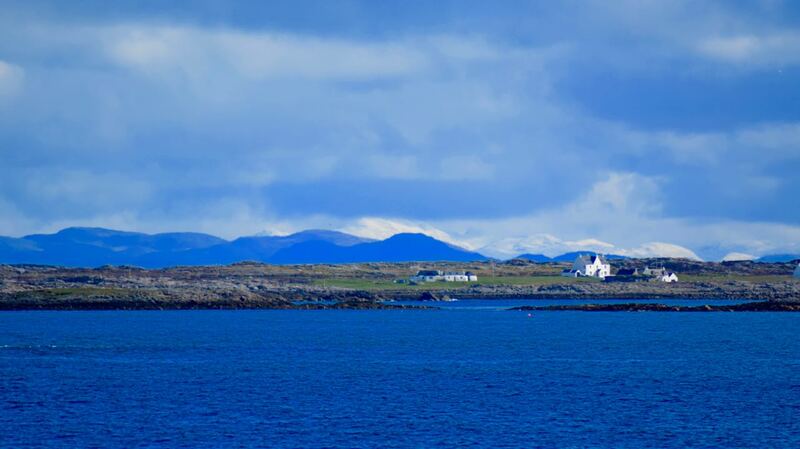 Snow is capping neighbouring islands. From the pier at Scarinish the Island of Rum was clearly visible. The island’s Cuillins were snow capped. Another blue and white view. 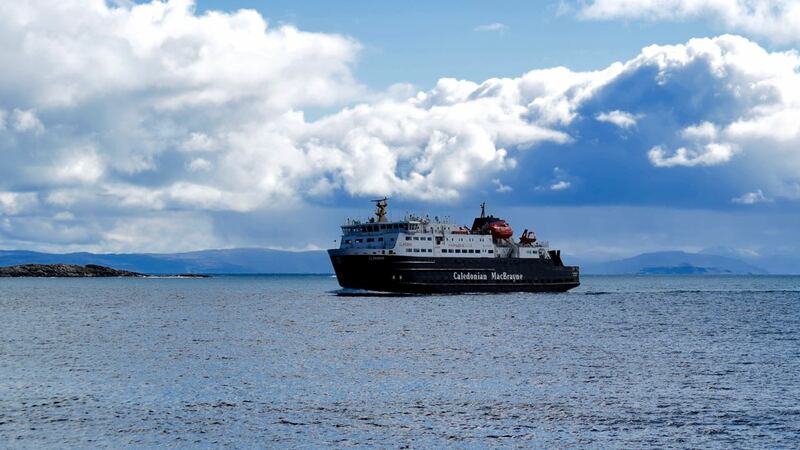 How impressive was the entrance of the Clansman to Gott Bay. Blue skies, spectacular clouds, and snow capped mountains. 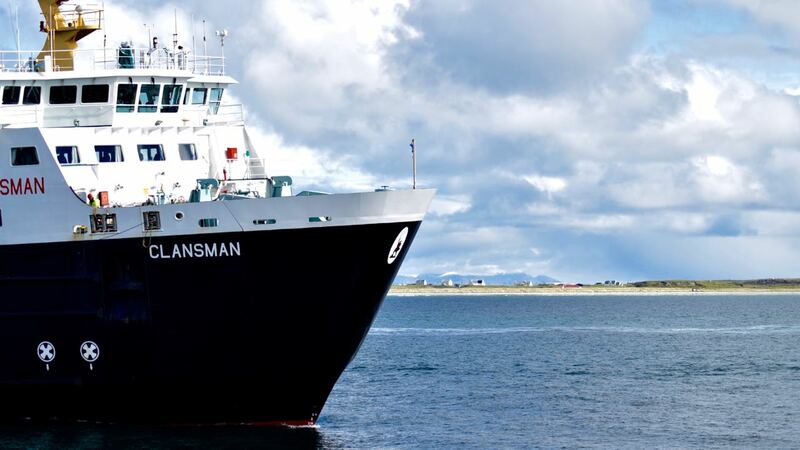 Come cruising with Caledonian MacBrayne. 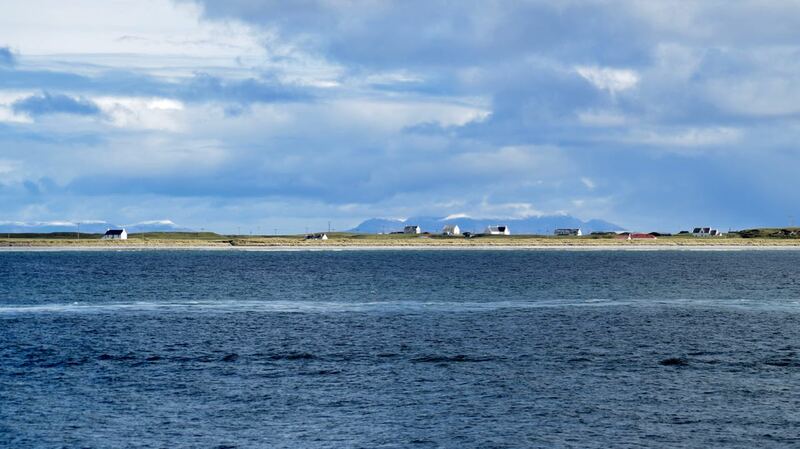 In the afternoon the Blue Skies lit up the Paps of Jura. Look carefully and see the buoy laying vessel ‘Pole Star’. 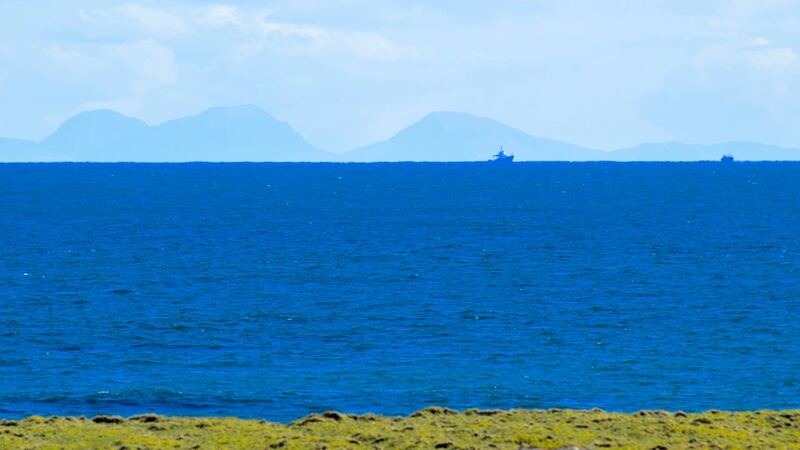 The Island of Tiree was the blue isle today. Blue skies, blue seas and so welcoming. The Clansman and in the background Ruaig and the Highlands.